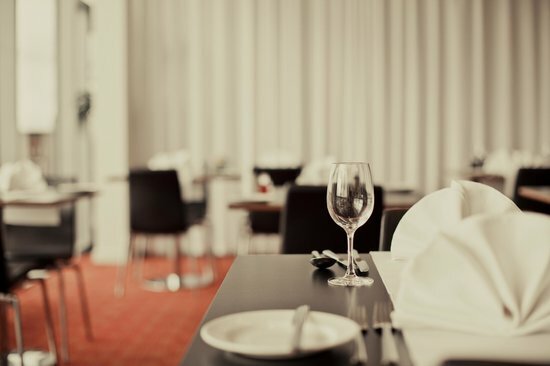 On the top floor of the Club at Edinburgh College, you will find a bright, modern restaurant and bar, with amazing views of Arthur’s Seat and the Forth. 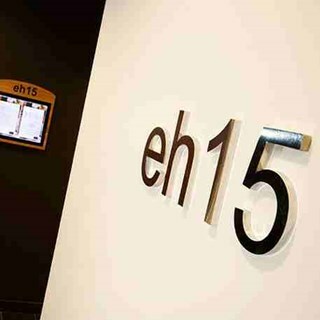 eh15 is the ideal venue for a get together with friends, a family lunch or larger function. 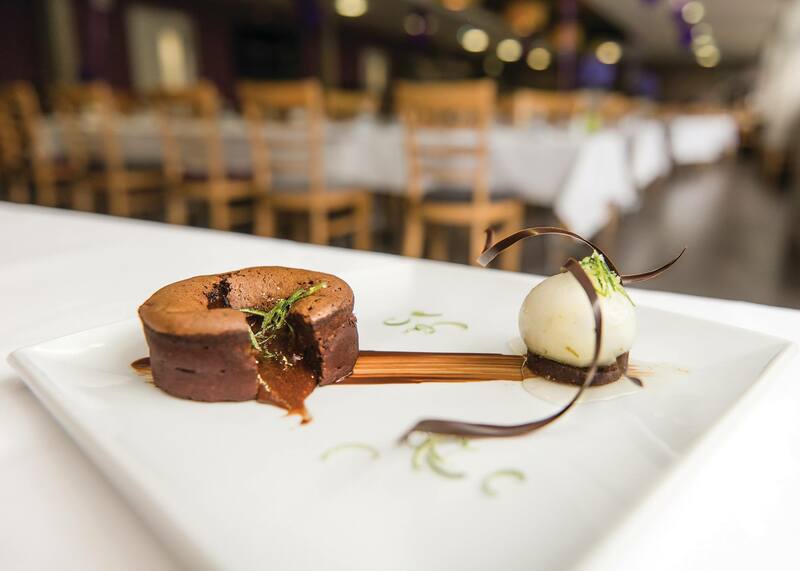 Under the close supervision and instruction of our restaurant manager and head chef, hospitality students prepare and serve the best in fresh, local produce. 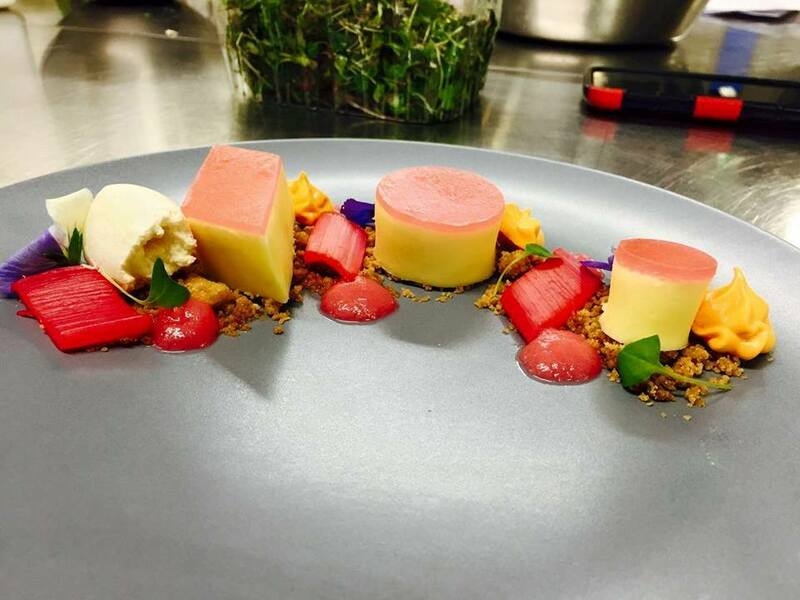 Our menus change throughout the year to reflect seasonal produce, please browse our menu on our website for an idea of the delicious dishes we offer. The scotch broth soup was tasty and seemed to be freshly made in the restaurant. However, the turkey and beef olives tasted like they were processed. The vegetables were not the best we have had at eh15 either. I did not get any toffee sauce with my sticky toffee pudding as the chef 'did not have time to make any'. Unbelievable!! To top it all, a catering mincemeat tart was served in its foil dish! If the professional staff are happy to serve food at this level they should be ashamed. How can they teach students the catering trade if they have no pride in what they serve? We were at eh15 a couple of weeks ago and our meal was lovely - last Friday was like attending a different restaurant altogether. Very disappointing. Waiting Staff had a good attitude and were very pleasant though they were struggling to keep on top of things. We had to ask for water to be topped up and remind them we had requested more drinks but not a big deal! Food was pretty good with the odd exception but bear in mind they are still students. Overall lacking a little polish but good value! First visit and we will certainly be back. Staff dealt extremely well with the necessary evacuation due to the fire alarm. Food was very good and you have very helpful and friendly staff. Booked a family lunch for my daughters graduation and we were all very impressed. It was excellent and a great venue. I would definitely go again. Booking was cancelled at short notice and rearranged for the following day. Not the best situation and was given complimentary bottle wine as acknowledgement of their mistake. Food and service was good but it felt more like a works canteen than an upmarket restaurant. We thoroughly enjoyed our evening, thank you for the great service and very tasty food. We were celebrating our anniversary with 4 friends who had not been to the restaurant before. There was a good selection for each course and we  all tried something different. The food was delicious and each course was served very quickly - we did not have to wait any time at all. There was a curtain drawn near to our table  so that the sun did not shine directly onto us. We were not rushed and enjoyed our meal very much. We will definitely be back again. we were all impressed with the main courses and starters..everything was very nice however we felt the cranachan dessert was a bit of a let down . Our starters were good apart from the comments about the oat cakes below. Our main dishes were good - pork & salmon. And my dessert was nice. Texture of the bread roll was un-bread like. The pate came with oatcakes, but they were soggy from the oil and tomato dressing. We made a reservation for four on a Friday evening after reading fantastic reviews about EH15. Staying 5 minutes away from EH15, we were very keen to try out this restaurant when our parents were in town. Unfortunately, we felt a little let down on the service. We arrived promptly for our reservation but only received the menus 10 minutes later. Orders were taken after another 15 minutes and our food arrived an hour and 20 minutes late from the time we arrived. Although, the waiters apologised for keeping us hungry, we felt let down. The plates were cleared when some of us were still eating and we were not sure how to react to this. Also, when the bill came, the bill was incorrect (we were undercharged) and we helped the waiter sort out the bill. Overall, we thought the food was brilliant but the service could be improved. We realise that EH15 has won and been nominated for various culinary awards in the past but the nomination hasn't been as frequent recently and possibly with the improvement in service, EH15 will shine again. I know this is to help the trainees but the experience really was dreadfull. Took over an hour to get a main course and my wife had ordered salmon and they gave her cod saying it was fish anyway !!!! Nobody even had the courtesy to tell her the salmon was off !!! The lecturers really need to get a grip on things. £19 for 3 poor courses is ridiculous. Had a great evening... Staff were lovely and the food was brilliant! Great quality food, excellent prices on food and drink. Service good too. We will definitely visit again, students and mentors have a lot to be proud of! Food was very good though portions on the small side. £12.95 for dinner on website although charged £15.95 for two course meal. .... Bit pricey for a training restaurant! This was my third visit to EH15. I brought relatives for my mum's birthday lunch. We booked on group offer of three courses with glass of fizz. This is excellent value. Everyone thoroughly enjoyed the meal. Service was great too. Thanks - we will be back! It was a bit quiet might have been nice to have a little background music? Staff were excellent, friendly and welcoming,  and food was delicious. Will definitely be back and will recommend to others. Once again a wonderful experience - food, drink and staff absolutely first class - prices are so reasonable. EH15 is much better than some of the restaurants in the centre of Edinburgh. Will be back again very soon with friends - all really keen to try after my raving about it. 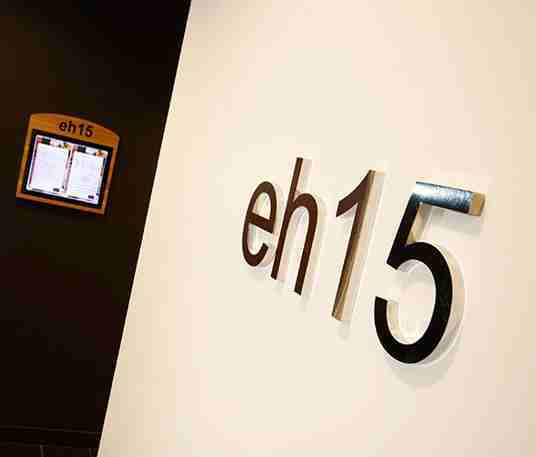 EH15 has the potential to be constantly fully booked up. Maybe advertising the concept and affordability more publicly would help. A local gem for us, if more customers can be attracted then the atmosphere would be more attractive for my husband whose reluctance to come is because it is quiet. Also more vegetarian alternatives would be great.